Established in 1898, the Town of Claremont is the hub of the western suburbs of Perth. Comprising a large shopping centre and surrounding streets of boutiques, restaurants and cafes with the convenience of easy access to public transport and a pedestrian-friendly high street, Claremont is a popular destination for shopping and leisure. 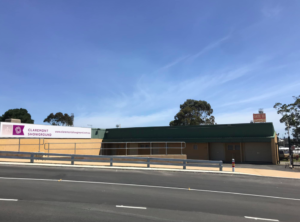 Covering an area of 3.62km, the tree-lined streets of the suburbs of Claremont and parts of Swanbourne are home to around 10,000 residents and is forecast to grow to 14, 408 by 2036. 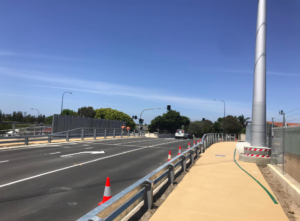 The Team at Wespray On Paving were very pleased to have been approached by the City of Claremont, WA, to tackle the resurfacing of the Coleman Rail Ashton Road bridge, just outside of the Claremont Showgrounds. Whether you’re a business owner or a property manager, ensuring the safety of your pedestrian surfaces is a heavy responsibility. 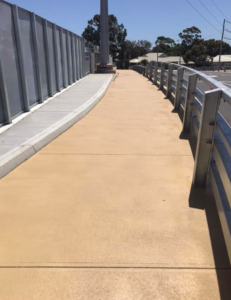 Wespray On Paving is Perth’s leading supplier of slip-resistant cement resurfacing and is the natural choice for Perth businesses who want a tough, safe and attractive spray on paving finish in their pedestrian areas. All of our resurfacing techniques fall in line with AS 4663 regulations, abiding by slip resistant guidelines for pedestrian walkways. Previous PostSafe & Active Streets: The City of BelmontNext PostThe City of Swan ‘City Gateways Project’ cont.